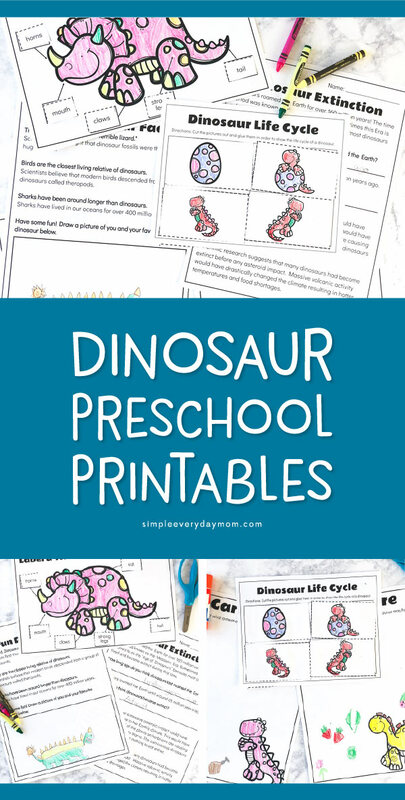 Inside: Download these free dinosaur preschool printables to teach your little ones in a fun and engaging way! Check out all our awesome dinosaur activities for kids here. Around our home, there are a ton of dinosaur related things. 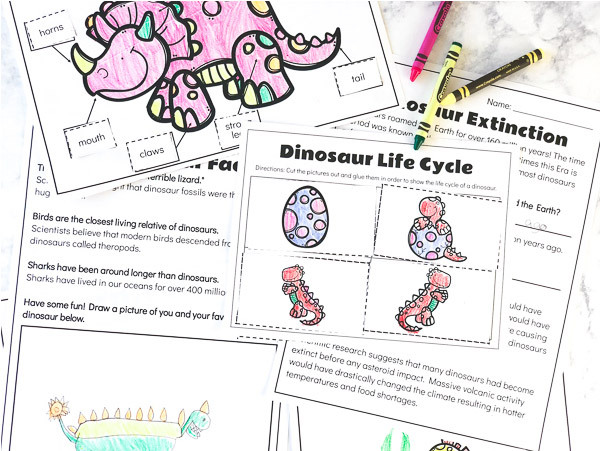 Of course, we have dinosaur toys, but we also have dinosaur coloring pages, dino video games, and dinosaur artwork. So, while we’re in the middle of our dinosaur week, I decided we should learn a little bit more about these awesome creatures. 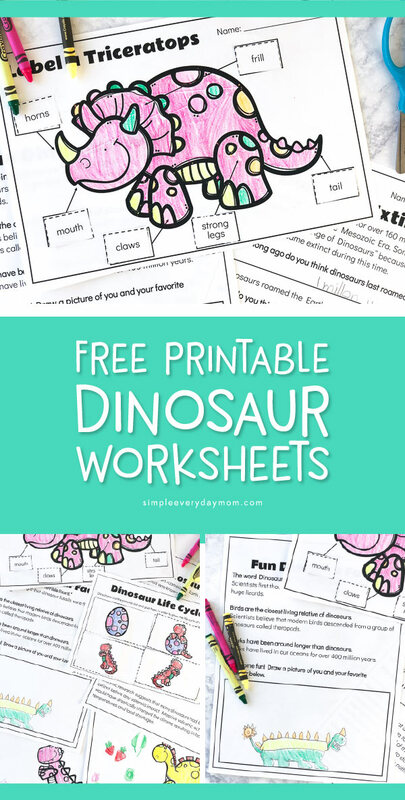 Today I’m sharing some dinosaur worksheets that are perfect for kids in preschool, pre-k or kindergarten. Read on below to check them out and download your copy. This post contains affiliate links for your convenience. You can read my full disclosure here. 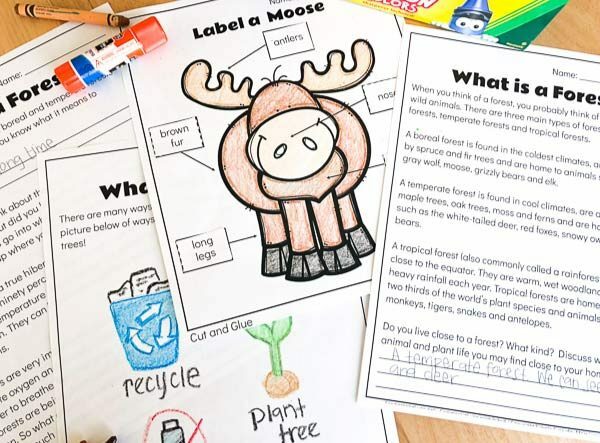 These dinosaur printables are perfect for young learners because they’re simple and fun. 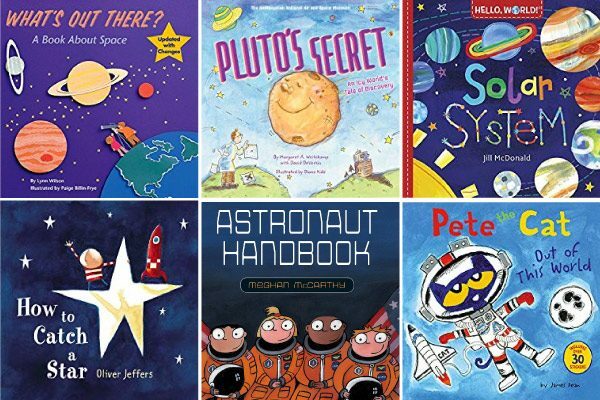 Because these are so simple, you’ll be able to explain everything you need to your child, but if you want to go even deeper into the basics, I’d recommend reading this dinosaur book to them before you do the worksheets. 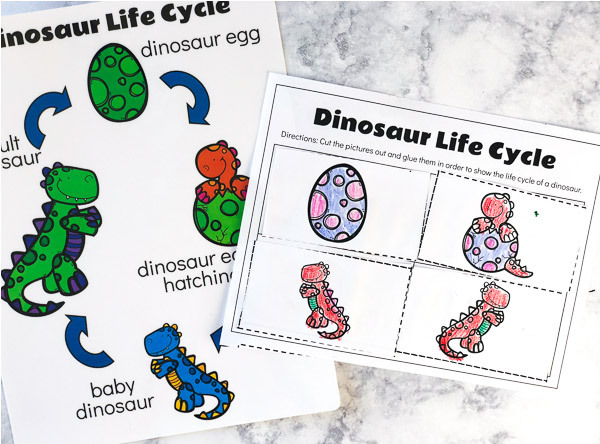 There’s also this fun dinosaur life cycle poster you can print off and use. 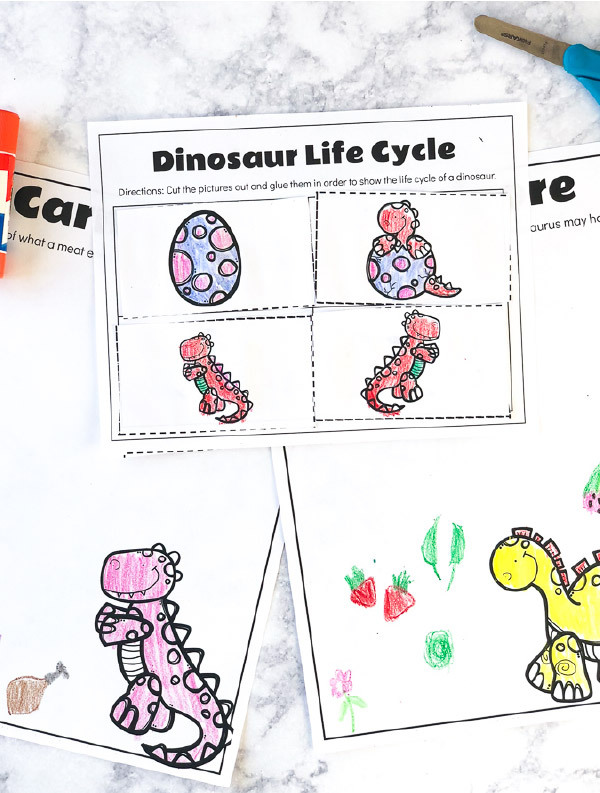 We had fun with these dinosaur printable worksheets and I hope your little ones do too! I believe ordinary moments have the power to shape happy, smart and productive kids. In my home, we've discovered ordinary moments have the power to shape happy, smart and confident kids. 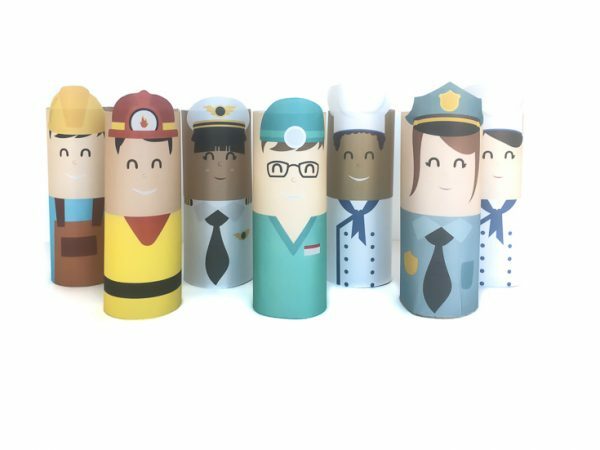 We play, learn & strengthen our relationships everyday, no matter how busy we are. Learn how you can too! Sam Thomason is a participant in the Amazon Services LLC Associates Program, an affiliate advertising program designed to provide a means for sites to earn advertising fees by advertising and linking to amazon.com. 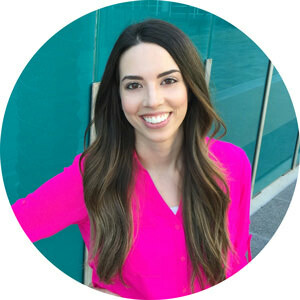 © 2017 Simple Everyday Mom I would love for you to share my posts, but please use only one picture and a link back to my site. Do not link directly to the download page or host the download on your own site. 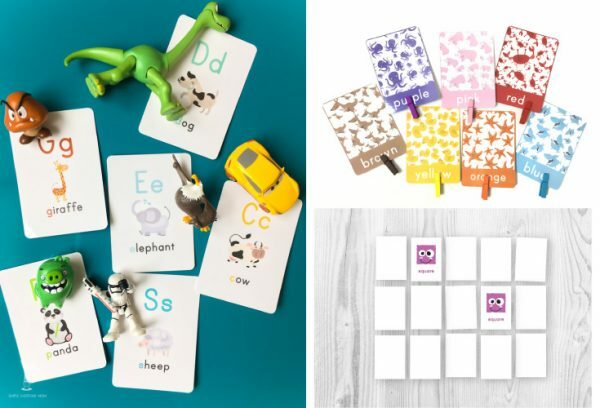 Printables are for personal use only.